switch one source to one of three displays. Press the switch button to select channel 1, channel 2 or channel 3. 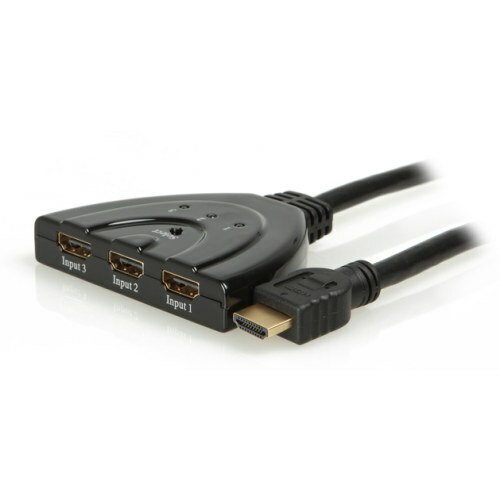 With a piece fixed HDMI cable this converter not only reduces cost but also save time for customers. Support 3D all format, including1080p@23.98/24Hz,720p@59.94/60Hz, bandwidth up to 250MHz.